Trending: multiple instances of found property, some stolen. Half a dozen people picked up on warrants when officers were called for other reasons. DUI. Assaults. 03-14 Residential burglary 20xx NW 196th Pl. Forced entry. 03-15 Suspect shoplifted $482 in over the counter medicine from North City Safeway, then left with other people in a stolen vehicle. 03-17 Mail theft 6xx NE 170th. 03-17 26 year old woman breaks lamp and potted plant after associate refused to take her to get coffee. 03-17 DUI in 21xx block of N 185th. 03-17 Burglary through unlocked sliding door. Took electronics, ID, credit cards. 202xx 25th NE. 03-17 DUI 1xx block of NE 155th. 03-17 10:30pm Driver followed other driver around Shoreline, trying to get him to race. Suspect contacted, was driving without a valid license. 03-17 11:30pm Two drivers racing on 15th NE were picked up near Perkins Way and charged with reckless driving. 03-18 1:50am Driver going wrong way on Aurora charged with DUI. 03-18 Two people, at different times, were picked up near Aurora Village transit center on outstanding warrants. 03-18 Civil process server with a gun got in altercation with person he was serving. 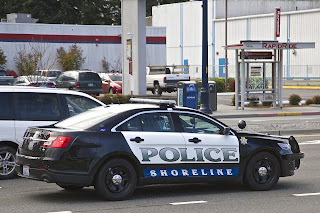 03-19 Shoreline Family Auto on Aurora burglarized. 03-19 16 year old reports she was raped by a man who gave her a ride when she ran away from home. 03-19 Someone stole a wind chime from front porch and entered backyard shed 7xx N 188th. 03-20 Victim robbed of purse at knifepoint at park n ride on Aurora. 03-20 Burglar entered through open door 147xx 23rd Ave NE. 03-20 SUV stolen from parking space at Goodwill. 03-20 Burglary 12xx NE 167th. Front door kicked in. 03-21 DUI 155xx 15th NE. 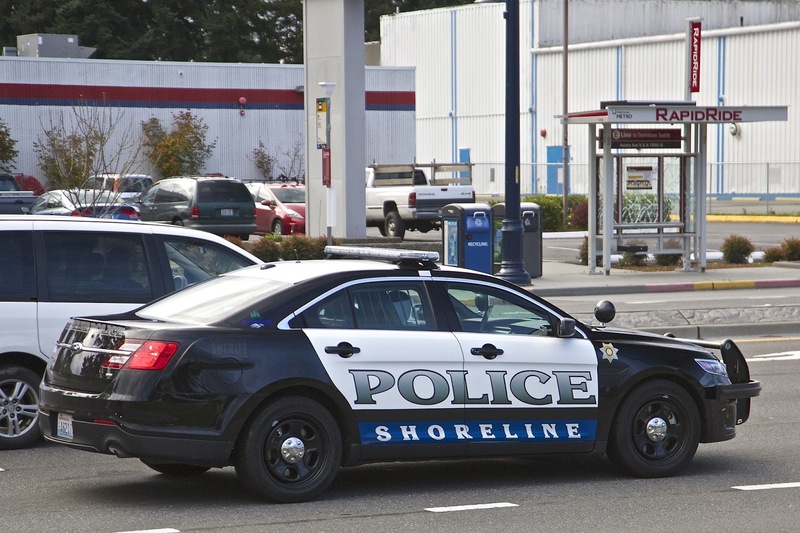 03-22 Unknown white male driving stolen vehicle was seen forcing a woman into his car at Sears parking lot. 03-22 Vandalism to women's restroom at Hamlin Park. 03-22 11:30pm DUI driver collided with street sign and multiple vehicles. One of the vehicles turned out to be stolen. 03-22 11:30pm Male arrested on warrant at Aurora Village transit center was in possession of drugs. 03-23 Mail theft at Whitman Plaza 14805 Whitman N.
03-23 Graffitti at Richmond Highlands park. 03-23 9:30pm Subject got into a confrontation with clerk at Shell station then tried to shoplift liquor from Walgreens. Gave false name to officer. Charged with obstructing an officer. 03-24 Subject arrested on criminal warrant at Greenwood transit center during a welfare check. 03-24 Vehicle blocking street at N 152nd and Aurora. Driver arrested for lack of physical control. 03-25 1:15am DUI driver stopped for speeding, unsafe lane travel and failing to signal. NE 146th Pl.